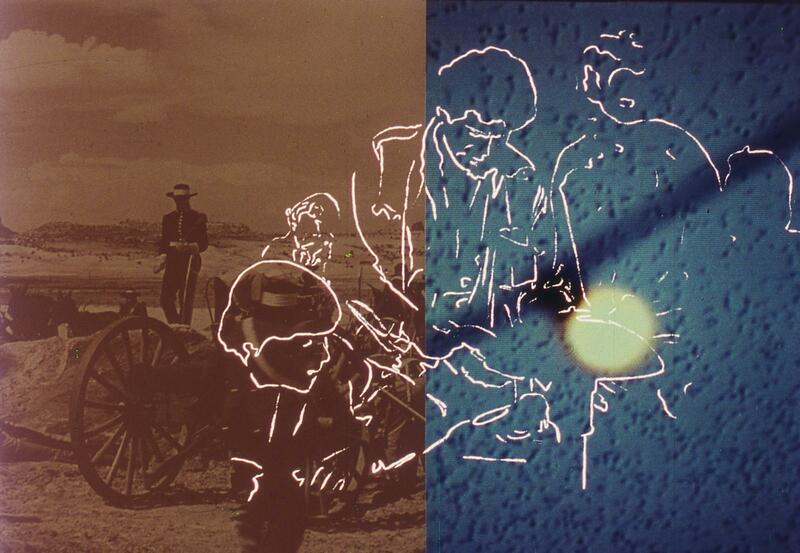 Since the 1960s, acclaimed experimental filmmaker Pat O’Neill has explored the visual complexities of moving images on screen, first through his mastery of the optical printer and more recently through digital tools. This program presents exemplary works of each. One of O’Neill’s final works on celluloid, the 35mm Trouble in the Image (1996) is a moving image artist’s book that hints and nudges towards rich connections and associations. Where the Chocolate Mountains (2015) is a powerful and mesmerizing work that continues his evocative explorations of landscape, Los Angeles, history, and memory. O’Neill maps a psychic terrain that is unmoored in time and space. Curated by Julia Gibbs and Patrick Friel.